I am not going to say that if you believe in god then you will have to accept the existence of devil,as people generally misinterpret what the law of duality says. The law of duality(or polarity) does not say that everything has an opposite, instead it says that the opposite of any entity that we can perceive is nothing but the other extreme of one and the same thing. Let’s take the example of prosperity and poverty, one is abundance of wealth and the other is absence of wealth but both are the differences in balance of exactly the same thing-wealth! In the same way many people talk about the law of attraction and repulsion within the context of law of polarity, which says that if the universal laws operates to attract what we want in our lives then there must also be some law which forms its opposite by repelling the stuff that we don’t want, this is not at all true. What we don’t attract in our life is what we don’t focus upon or we block what we want by focusing on its opposite( negative thoughts or beliefs).. so there is no such law as the law of repulsion, but it is the law of attraction working reversely what seems like that. 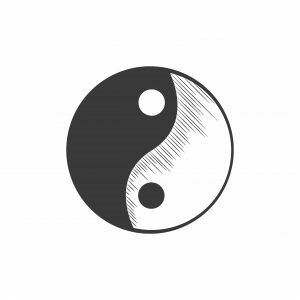 Chinese philosophy talks about this in terms of yin and yang which supports this discussion with its ancient understanding that dualities are complementary to each other. So, whatever we perceive in this world as opposites is actually two sides of the same coin…like the batman and the joker! While talking about the law of duality we cannot miss human emotions because it is the foremost concern in everybody’s life. So, in accordance to this law one will have to feel hatred if he feels love, he will have to feel miserable if he feels happiness, he will have to feel pain if he feels pleasure etc. This is very true, our mind depends on this law and all the emotions flips to its opposite nature in the future because if one feels a specific emotion due to an external factor then in the absence of that outside reference, one will naturally experience the opposite feelings. Unbalanced emotions whether it is the high end or the lower end has to turn upside down with time, but neutral emotions that naturally arises from inside like-joy or unconditional love, which is independent of the external factors has no opposites because it is whole and complete. Joy and unconditional love are divine qualities which has no opposites; it is the true and core nature of we humans. Unlike the “happiness” or the “love” that requires any specific reason from our exterior world,these feelings does not depend on anything from the outside world. A person who rejoices the present moment completely naturally experiences these emotions and this is why these are the qualities of the enlightened ones. 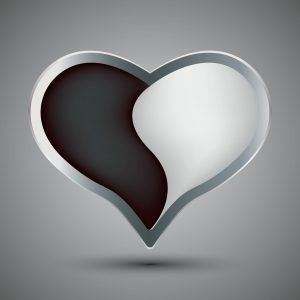 These qualities are said to be the natural characteristics of human being because we are made of unconditional love and the higher part of our existence which is also referred as the true self is always in the state of joy and it has unconditional love for all divine creations because our higher self knows that it is connected to everything. If you want to avoid the flutter of moving through two extreme emotional states and being deluded by the temporary appearances of external circumstances then practice present moment awareness, it will allow you to observe the outside events from the viewpoint of unbiased alertness and thus you can find yourself balanced in all circumstances, this will help you to stay unaffected from the worldly drama of suffering and pleasure.